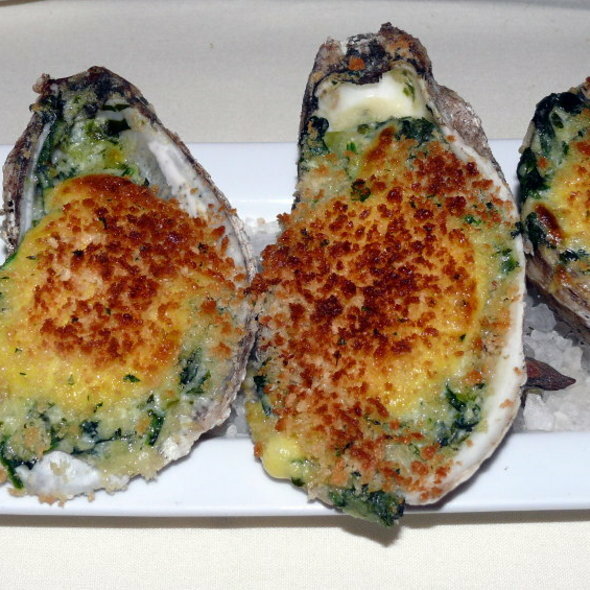 Halls Chophouse is American-Fine Dining, serving prime steaks, Lowcountry and fresh seafood specialties in an energetic, visually striking environment. Complemented by signature desserts, an extensive wine list, a vibrant bar and innovative, rich decor true to old-world steakhouses, Halls Chophouse is the latest restaurant offering in the heart of Charleston's Upper King Street design and dining district. A traditional American steakhouse with superior service and a knowledgeable staff, Halls Chophouse offers a classic and comfortable dining experience that will entice our guests to visit and enjoy time after time. We offer 2 private dining rooms for groups of up to 32 guests each with audio visual capabilities. 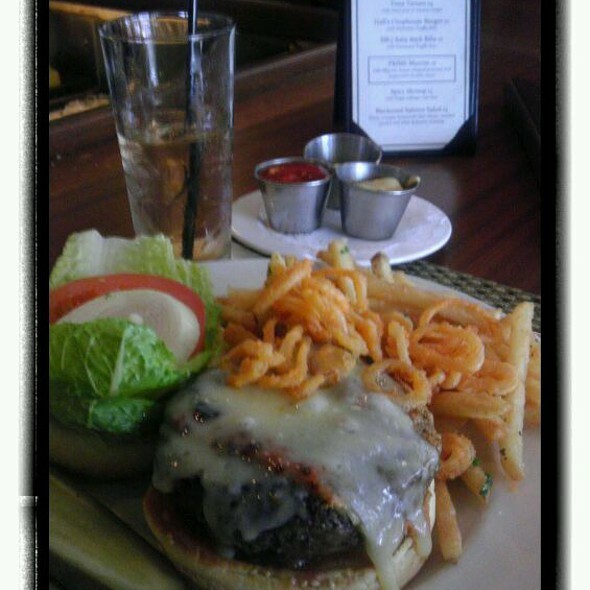 Dinner: Sunday - Thursday: 5:00pm - 11:00pm, Friday & Saturday: 5:00pm - Midnight, Sunday Brunch: 10:00am-2:00pm. Bar is open Monday - Saturday starting at 4pm to close and 10:00am to close on Sundays! Business, social, or whatever the occasion, Hall’s Chophouse is the place for your next event. Our three Private Rooms can hold up to 40 people. State-of-the-art AV equipment and flat screens are also available to help you with any presentation needs. Set menus for large groups also available. We are able to accommodate private breakfasts, brunch, lunchs and dinners for groups up to 100. Special menu and a la carte menus available. The Hall Family introduces ala carte brunch on Sundays. Steak and Eggs, Eggs and Bacon, Steak Omelet, Shrimp and Grits, Pancakes, Waffles and much more. Full bar available and live entertainment every Sunday 10:00 am - 2 pm. 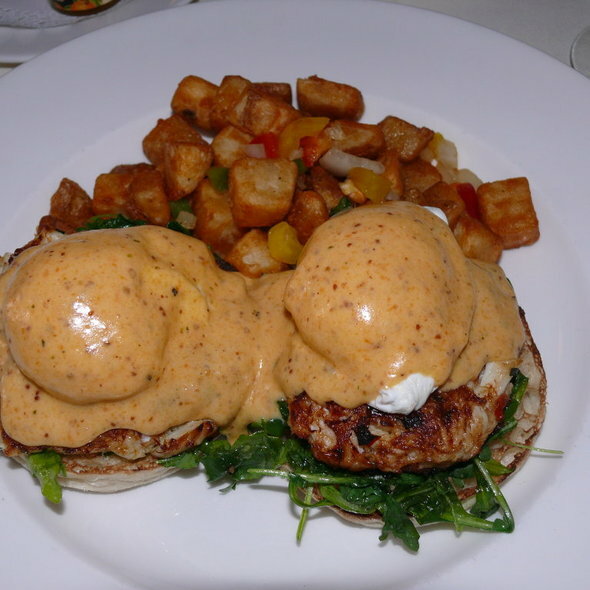 Enjoy the soulful sounds from 10:00 am – 3:00 pm while you enjoy your Gospel Sunday Brunch! We decided to try Halls for dinner since everyone said it was so good and man it was AMAZING!! I would definitely come back to this restaurant and recommend it to everyone. 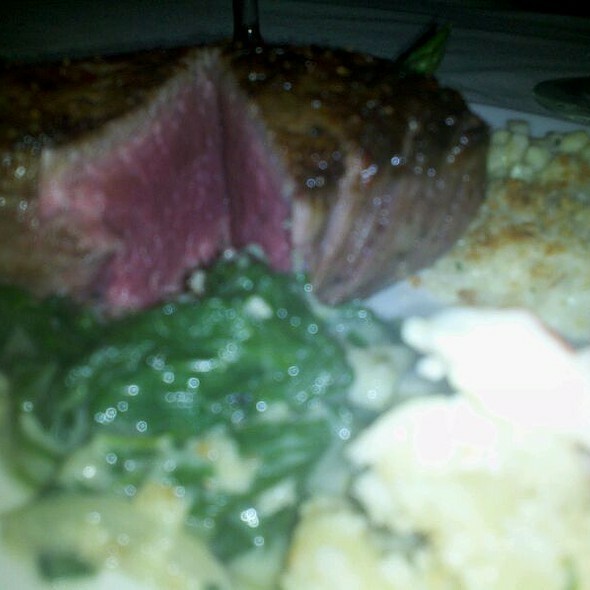 The filet was awesome and the best side was the creamed corn! I got the Filet over mushroom risotto. Everyone that was with us enjoyed their meal and did nothing but raved about it all weekend. A very enjoyable experience from start to finish. Tyler and Shawna were both awesome. Absolutely amazing food and staff! Can’t wait to take my wife back! Get the bone in filet if available. Just incredible-we loved our evening there! Our meal was superb and the service was outstanding. Loved the special birthday dessert which was generous, delicious, and came with champagne for all! A perfect family celebration of a special birthday. Unbelievably the best restaurant we’ve ever been too! From the greeting at the door to the wonderful service from our waitress Megan we were blown away!!! The steaks are amazing and cooked to perfection! Bread pudding is a must for dessert! Can’t wait to go back when we are back in SC! The meal was exceptional! Even received a hand written thank you card in the mail afterwards! Didn't like that you needed to Valet park and the it very noisy but the food was out of this world. We would go back in a heartbeat! Our server was delightful and very helpful. We were 2 women, and didn’t want to overeat, so w truly appreciated her guidance with the menu selection. We started with a Pomegranate martini, and it was delicious. The veal chop was perfect, as were our sides. It was our first time in Charleston, and I’m sure we’ll be back, and definitely come back to Hall’s. This was our second visit to Hall's Chophouse, but our first for their brunch. We both enjoyed a cup of she crab soup, I had the crab cakes benedict and my husband had a bone in rib eye with mashed potatoes. Both dishes were outstanding! I wish I could eat there every day. Loved talking with the owner and the staff. They made us feel welcome and they were glad we decided to join them. Oh, and the gospel singers were out of this world. We had a great time. We'll be back. This was our first time and the waiter was very helpful. He asked us what we like and then made suggestions based on the information we gave. It was my birthday and I do like the fact I didn't have to pull my drivers license out to prove it. I look forward to the next time. Full disclosure: I never made it to dinner. Restaurant staff informed me that they would call me and let me know if they would be open following a recent hurricane scare. Never got a call and missed what I had hoped was going to be great birthday for my wife. Things get crazy on the coast during a hurricane event and things like forgetting about a reservation you promised to call are going to happen at even the best establishments. I really want to like this restaurant, as they have plans to open a location near me, so I will wait another 3 months for a Saturday night to open up and give it a second chance. This review will be updated at that time. In the meantime, I would recommend other diners be vigilant and double check reservations and conversations with restaurant staff. Absolutely an amazing experience!! The food was out of this world and staff was exceptional. This is an absolute Charleston MUST!!!! Excellent food and service. We love this place. Best food and service around. HANDS DOWN THIS WAS OUR BEST RESTAURANT EXPERIENCE EVER!! We are Charleston locals and finally made it to Halls to celebrate my husband and I’s Birthdays. The service was impeccable and our dinner was perfect. We had very high expectations going in and they were exceeded! We will definitely be back to Halls! Visited after relocating from Texas to Charlotte. This was the best meal, service & steak that I've ever eaten - EVER. The owners are people friendly, and love to mingle amongst their guest. GREAT JELLY BEANS!!!! This is a restaurant you will not want to miss!!! When in Charleston dining at Halls Chop House and other Hall Family owned restaurants is a MUST! Billy Hall is a legend . Went down for my Bachelor party with a group of 12. 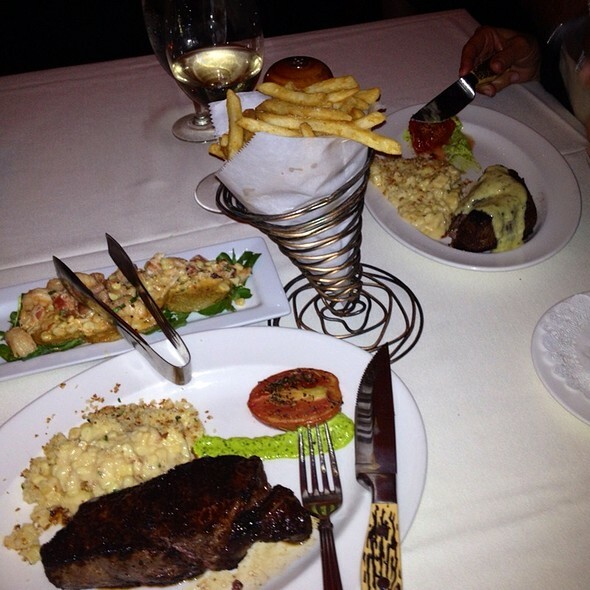 Outstanding steak and great service. The owner ( Billy) shakes everyone’s hand as they walk in and visits every table. The personalized dining experience is a lost art. The place was phenomenal. The food was spot on. Would recommend for dinner. 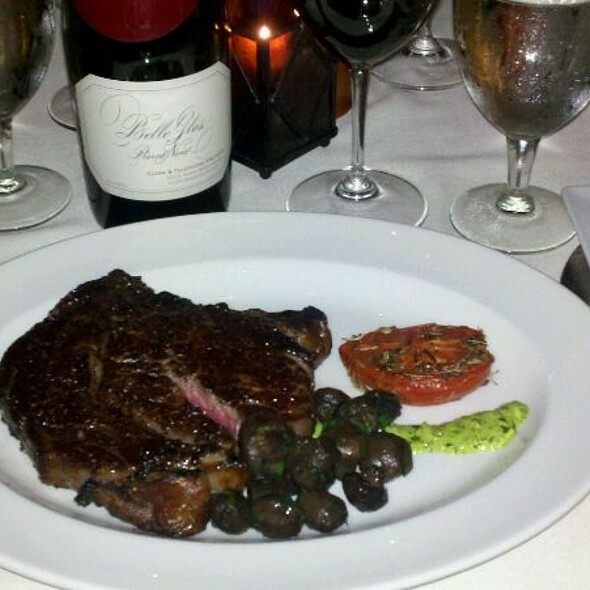 We consider Hall's Chophouse Charleston to be the finest restaurant in Charleston. Plain and simple. We walk in the front door to be greeted by Billy Hall who immediately makes us feel like family! We are always greeted by genuine smiles by the entire staff. The waiters / waitresses are routinely right there when we need them and inconspicuous when we don't need them. The food is cooked to perfection (once delivered to our table, the waiter always makes us cut our steak to check the cook of the meat). The waiter's knowledge of the menu is extraordinary. If I had a complaint, it would be that our dinner is always so delicious and filling that we never have room to try your desserts. We're gonna have to work on that! Thank you Hall Family and Hall's Chophouse for always making us feel like part of your extended family. We had a fantastic meal, visiting for a special occasion. For starter, I had the best onion soup I have ever had. It had the addition of onion rings piled on top and I have asked my wife to add it to her own recipe! I then had a delicious steak whilst my wife had the succulent lamb. I finished with a yum bread pudding with a whiskey sauce. Not a cheap meal but absolutely delicious and I would highly recommend a visit. Great time with visiting family. Folks were great with our 3 grandsons!! Our favorite Charleston spot by far! The staff and the family of Hall’s are incredible. Food is always amazing. Have heard of Halls for ages, but never had indulged on one of my frequent trips to Charleston. The reputation is for excellent food and outstanding service. My son, on an earlier visit with friends, proclaimed to the world that he had enjoyed the best steak he’d ever eaten. 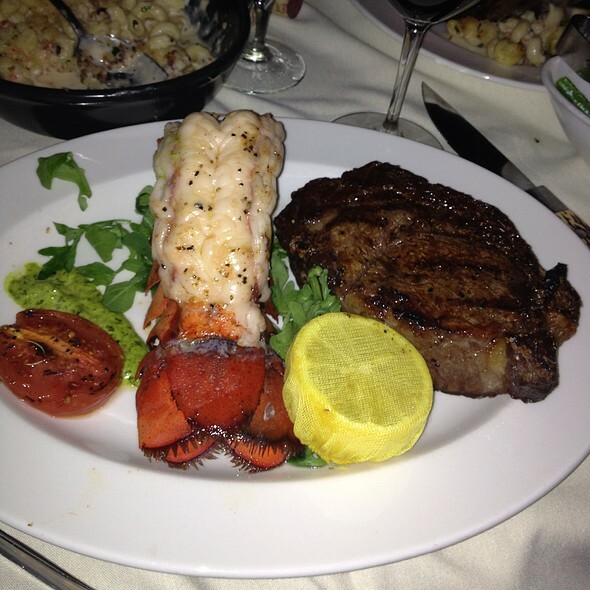 My two friends and I concurred that the service was superb and the steaks among the best ever. However, there was one shortcoming: the onion rings!!! I consider myself a connoisseur. The onion rings served that evening were very large - fine - but coated in a heavy, doughy batter. The batter must be light, flaky. Overall perfection is so close. Let the onion rings lead Halls to its culinary apotheosis!!! Best Restaurant in the US!!! Food and service were absolutely amazing and the handwritten thank you note that followed was definitely a special touch. Probably the best restaurant I've found in SC. Service was amazing! Worth every penny! Dina was our server and went above and beyond! BEST EVER! We went for the gospel brunch and decided to go back for dinner the next day. We never repeat restaurants when on vacay but this was a must! The owner was extremely hospitable and made us feel like VIP guests and looking around the restaurant, everyone was treated that way. Best food and service in Charleston and probably the US. I will visit every trip and tell all my friends! If you know you will be in Charleston on a Sunday morning, please make reservations for the Gospel Brunch at Halls. 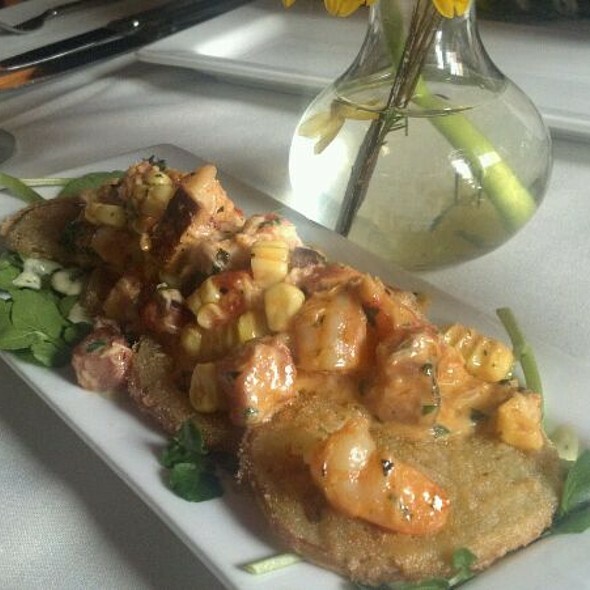 The food was fantastic, the service was flawless and the music was great! Billy Hall was there the moment we walked in the door with a lovely greeting, and he even checked in a few times to see if were were enjoying our meal. I have never experienced customer service like this. True southern charm. We will be back the next time we are in Charleston. Waiter was very attentive. We had reservations and got seated promptly. Or steak was cooked a perfect medium rare just like we requested. Literally the best dinner of my life. The customer service and quality of food were amazing! Mr. Hall was there and was so kind and took care of two of the guys who’s birthdays we were celebrating. We got a thank you card in the mail after. I would go back in a heart beat and plan on it! Best gospel Sunday brunch!!! Never been disappointed. 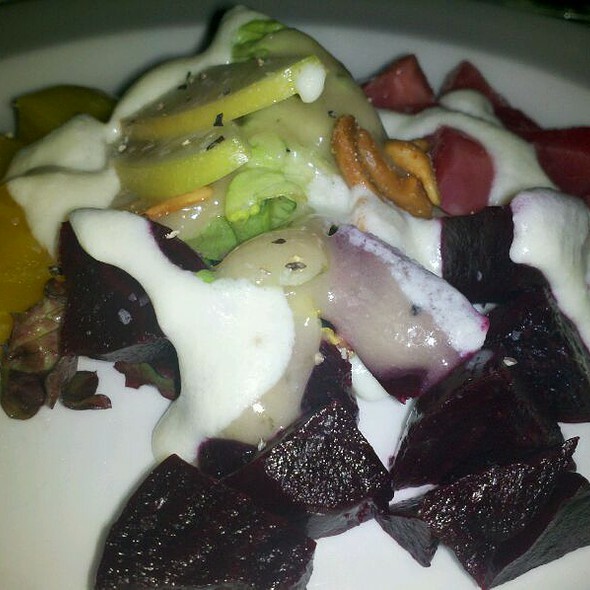 Quality of Service is rare and food was more than amazing.